Ladies, while we do like to stand out in a crowd, we want to be in the know about the current crowdfunding trend. While I say trend, I do think crowdfunding is here to stay. Now when we need $$ to make a certain something happen, we can create a crowdfunding campaign, build a community around our certain something, and raise the $$ we need to get it done. 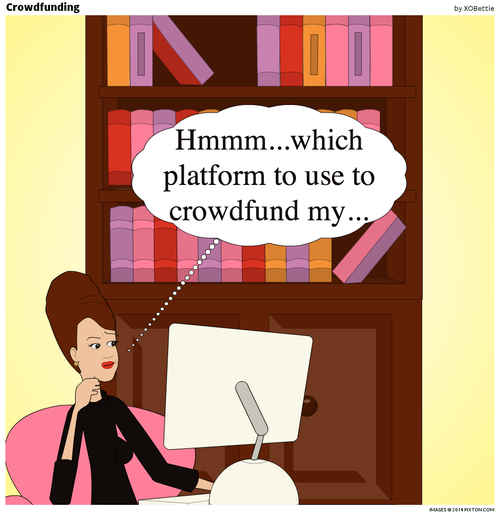 FYI: not all crowdfunding platforms are created equal. Let me explain. Have a creative itch? Use Kickstarter. Have a group vaca to plan? Use Crowdtilt. Have a [insert whatever] that needs $$? Use Indiegogo. Have personal credit card debt or a small business that needs $$? Use Lending Club. I give us all permission to stick with the crowd — just this once.